River City Home Services Vancouver WA. Serving Camas, Battleground and Portland, OR. since 1994. Licensed & Insured in Oregon and Washington. According to Consumer Reports, enhancing the exterior of a home can have a potential return or 2 to 5% of the potential increase in asking price, assuming home value of $205,000. Now that’s value. According to BobVila.com, one of the cheapest ways to increase a home’s value is pressure washing. It can increase the overall curb appeal while transforming your home from dreary to CHEERY! They suggest Pressure washing a home’s exterior siding, sidewalks, driveways, and decks. And don’t forget those gutters with 3 years of leaves in them. 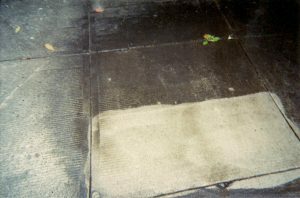 River City Power and Pressure Washing has been serving Vancouver Washington, Clark County and Surrounding areas since 1995. Earning us a five star rating and providing our customers a totally spot free record with Department of Labor and Industries in Washington State and the C.C.B. of Oregon. Very friendly, professional and took the time to explain the best way to remove the moss from our roof. Highly recommend them. Dave did an excellent fob on my storefront and sidewalk. We thought we needed new paint. Instead, Dave washed our home and made it look like new again.